Market Liquidity: Like three cherries on the slots. Forgot to take a picture. This 09 pic lifted from the Net. The Wild Ferment series labels have been nicely put together. On the very same day I had a glass of the Errazuriz I had a glass of the Cloudy Bay Pinot Noir. One is three times the cost of the other and yet both are eloquent, quiet, and simply lovely wines. I would argue that the Chilean red has a little more oomph, a tad more spice although less vanilla, and maybe is broader and less typically Pinot-ish, but by gosh does it stand out at the price. 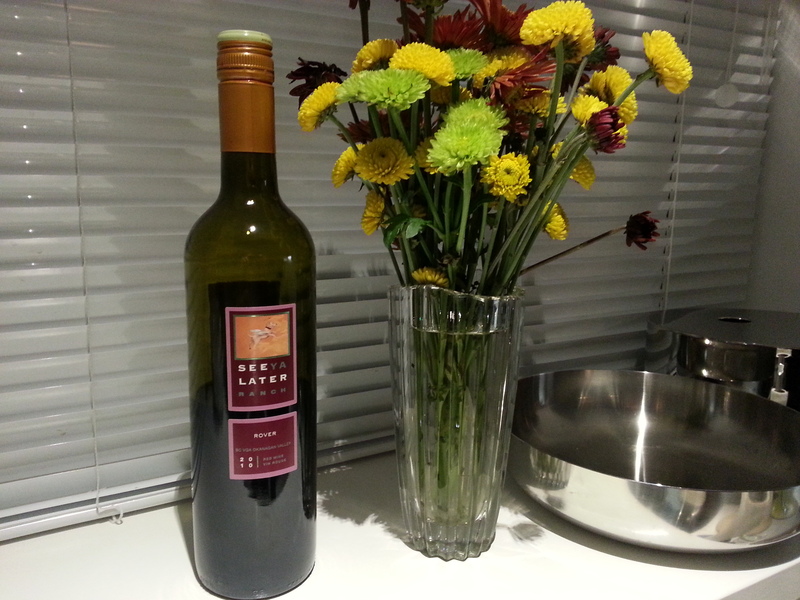 Cedar, a stinging dark berry burst, followed by a slight oak and long fruit finish. 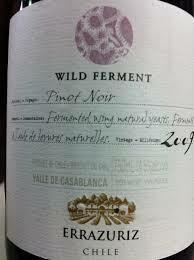 The wild ferment (natural yeast) Chardonnay is readily available in BC but not the Pinot. Too bad. Price: 13 pounds sterling, about $22 CDN. Market Liquidity: Finally the label “natural” is a metaphor for better. 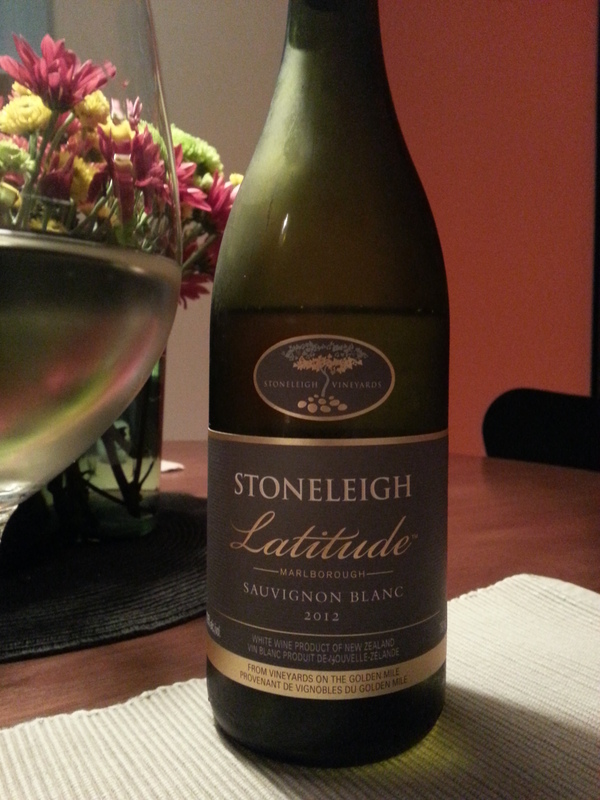 The Latitude (the Lexus to Stoneleigh’s Toyota Sauv Bl) does not disappoint. It’s like a distillation of everything NZ has brought to the table with SB and nothing weak or dispassionate about it. I read a review that it wasn’t grassy but I couldn’t disagree more. There was a green, pungent, haylike quality, lemon, guava, a hint of bitterness on the tongue washed away in a sweeter finish. Gorgeous. No complaints. Market Liquidity: As invigorating as a brisk walk on a cool fall morning. Buoyant (but not ethereal). An interesting and lively (13%) fruity red blend, Shiraz and Viognier, nothing comparable to the Oz reds we have been sipping of late and which dominate the government store shelves, but not a lightweight either. 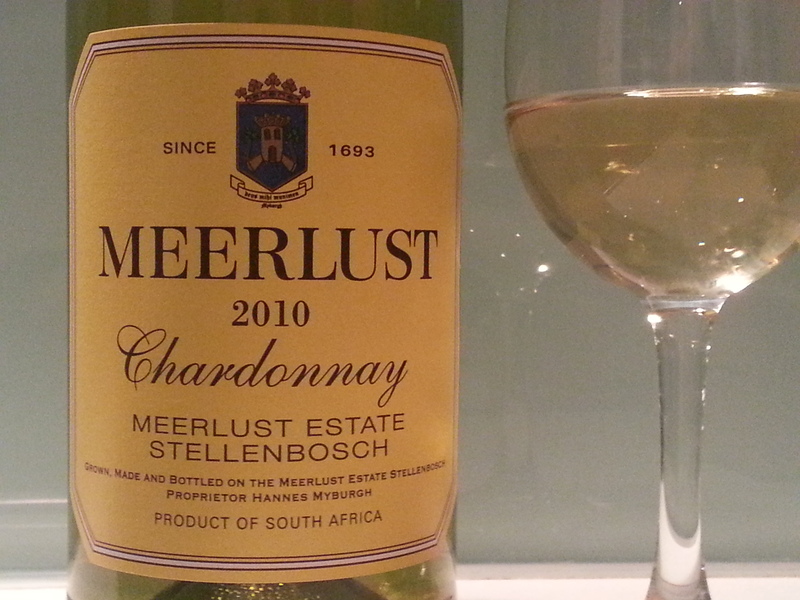 Hints of vanilla although not overpowering; a range of red fruits—with air almost Kool-Aid-ish in its forward attack. Usually a touch expensive ($25), but reduced recently. It reminded us of a cru Beaujolais, it really had that lightness of a young Fleurie or St. Amour with a little bit of Gamay acidity; I wouldn’t have guessed it as a Shiraz blend from the start. 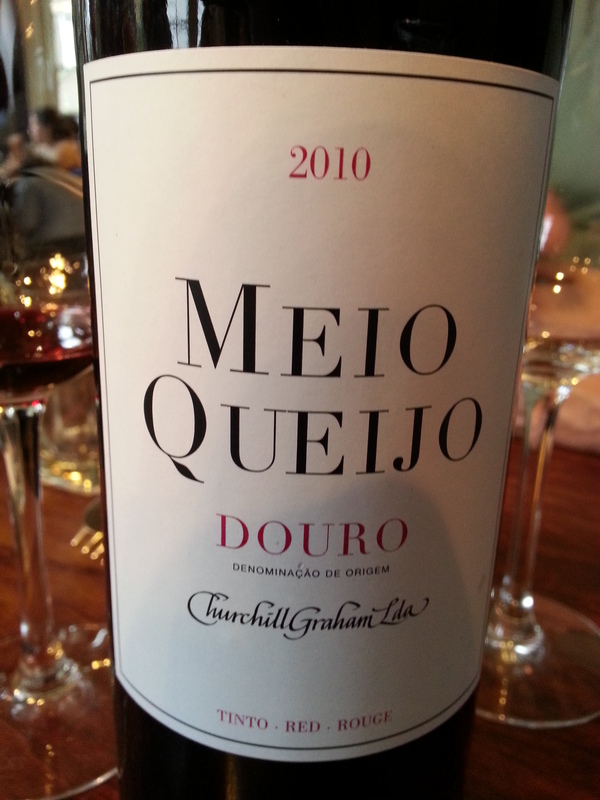 A lovely alternative for lighter dinner fare (against, say, Malbec or Cab Sauv). Market Liquidity: Think of a Thai Sky Lantern festival. Astonishingly generic. The liquor store shelves are teeming with wines of this ilk, largely from Oz, but also South America and the Pacific Coast, CA to BC. They range in price from about $16 to $29. Most are alcohol heavy; 14%, 14.5% or higher and even 16% alcohol. They have oak and vanilla and fruit and most are palatable and approachable without air or care. Reviewers like them and recommend them. 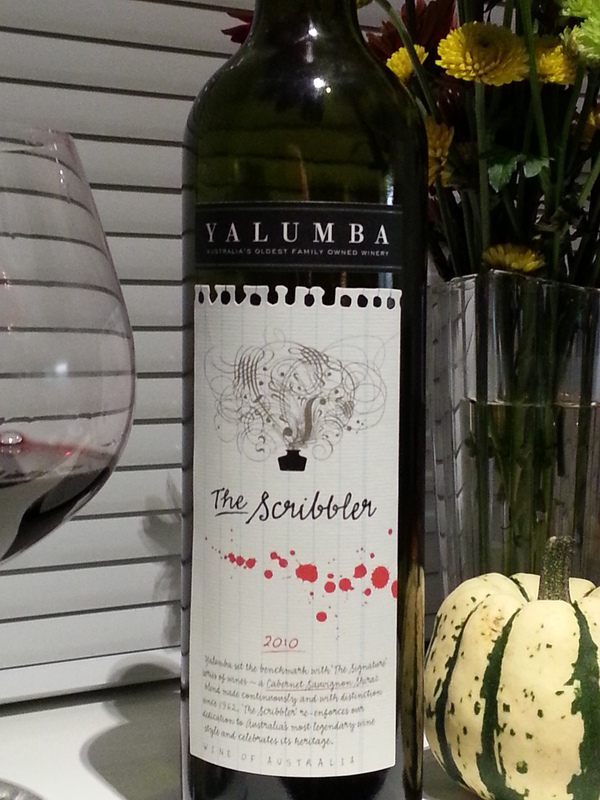 What can I say about the Yalumba Scribbler? Not much you wouldn’t say about heaps of other similar red blends. The problem is the problem: There is nothing unique or exciting. It’s what you expect and that would suit most of the people most of the time so kudos to Yalumba for knowing the market and getting a good product onto the shelves. If you drink wine without intention or interest or curiosity this might well be a perfect red. Paired very nicely with a meaty risotto as well as some leftover roast, but drank well on its own, a tad tart with a sweet strawberry note over some more complex earthier scents and flavours. But if you drink a variety of wines and enjoy the experience and the unexpected this is like a bus and truck version of Les Mis; forgettable and without the brilliance of the original. Market Liquidity: Like power walking through a shopping mall.